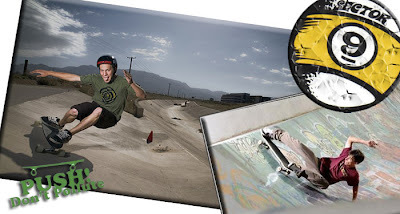 Deltron, Inc. (DTRO 0.01, -.00, -17.91%) today announced that its Elasco, Inc. manufacturing subsidiary has enabled Sector 9, a leading manufacturer of skateboards and apparel, to go green by supplying eco-friendly skateboard wheels. Elasco formulates and manufactures Biothane brand polyurethane wheels made with soybean-based polyols for Sector 9, which is owned by boardsports marketing leader Billabong Ltd. Sales of Elasco's high performance soy-based wheels have increased substantially this year. 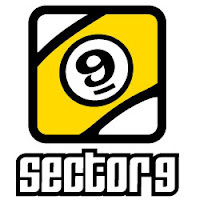 Henry Larrucea, Deltron CEO, commented: "Founded in 1993, Sector 9 has a long and distinguished history of leadership in the boardsports industry. The Sector 9 team has demonstrated a strong commitment to the environment, providing sustainable products as well as offering information on ways to reduce greenhouse gas emissions and fossil fuel consumption in its corporate materials. When Elasco developed proprietary formulations to produce polyurethane wheels using soybean polyols, Sector 9 seized the opportunity to be the first skateboard company to offer more sustainable wheels." "Increasing sales this year show that the 'green' wheels have strong appeal for environmentally conscious customers including surfers, skateboarders and the broader youth market." Sector 9 has emerged as a market leader in the design and manufacture of skate longboards, a fast-growing segment within the skateboard market. Sector 9 skateboards are constructed using all American made materials and assembled in their own San Diego factory. The Biothane Soy Compound Skateboard Wheels produced by Elasco for Sector 9 are quick-turning, maneuverable wheels with size, strength and stability designed for high performance and controlled cruising. Sector 9 was acquired by Billabong International Limited in 2008 and is still run by its original founders. Jake Piasecki Sector 9 rider. Stalefish at Venice. Having focused a portion of its product development efforts on formulating more eco-friendly offerings, Elasco succeeded in creating polyurethanes using soy-based polyols that match the performance of petroleum-based polyurethane while dramatically decreasing their carbon footprint. The company combines polyols produced from pressed soybeans with isocyanate and other ingredients to create new polymers. Traditional polyurethane products are made entirely from petrochemicals. Soy-based polyol resins used in Elasco's formulations reduce related carbon emissions from the manufacturing process by 36%, require less energy to produce, use sustainable materials, are free of volatile organic compounds (VOCs), and reduce demand for and reliance on non-renewable petroleum reserves. With the sun serving as the fuel source to grow the soybeans, the manufacturing process can reduce fossil fuel consumption by 61%. Deltron's wholly owned Elasco subsidiary is an engineered plastics and polyurethane molding and manufacturing company. Elasco has been in business since 1979 and has a highly efficient production facility in Southern California. The company provides complete design and manufacturing services including prototype work, mold and tooling design, manufacturing, custom casting, plastic injection molding and proprietary polymer mixing.